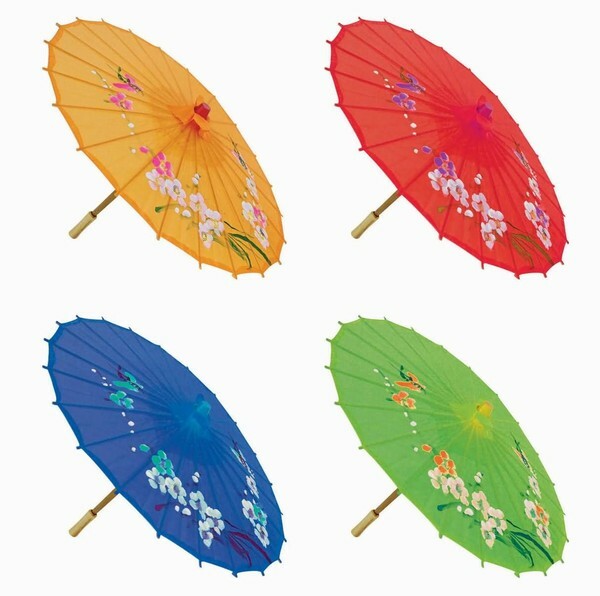 Stand out of the crowd with this charming colorful umbrella / parasol. Made with beautiful silk and durable bamboo frmae, it is also a great decoration to your home and any occasion. *You get six different colors per assortment, colors may various from the picture shown. * 21" Diameter when open.